Past and Future. Some photo I found in Tumblr. It means so much things about Sasuke in the past 'till now and let's hope for the future. Wallpaper and background images in the Sasuke Ichiwa club tagged: photo sasuke naruto. 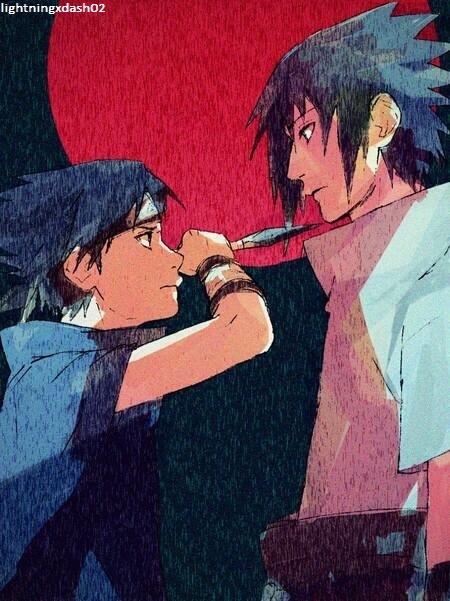 This Sasuke Ichiwa fan art contains anime, bande dessinée, manga, and dessin animé.